Description: Vine is a climbing plant. It can climb upwards on anything that gives it a foothold. In the wild, Vine can reach a height of 50 feet or more. 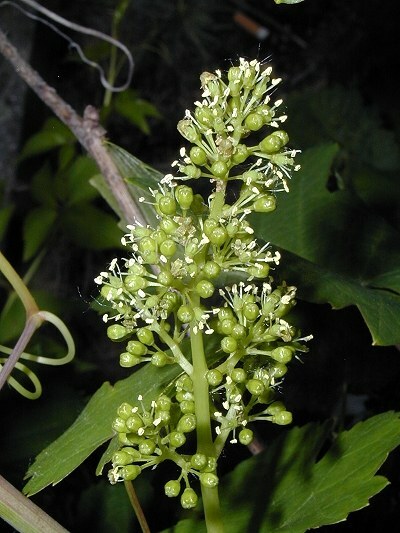 The small green blossoms with intense fragrance grown in clusters. It generally blooms, depending on place and climate, from the end of May to July. One really wants to get oneÂ´s own way, has problems with regard to power and authority.